Yeah, you can do it now in the ComBox. Please comment on a specific comment and don't just put it in the ComBox. When the uninformed makes fun of something he does not know of. What does it make of him? The priest and the server talk in "swswswwswswssss......" during the TLM? 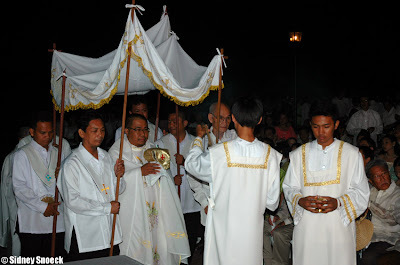 The priest covers the host and chalice to "emphasize mystery"
Well, if you have this Willie Revillame trying-hard, copy-cat wannabe, yeah, truly, you will lose the sense of mystery! He says that after Vatican II, you have a more participative Mass. But later on, he says that even if you attend the same Novus Ordo Mass but did not respond, you did not become participative. WHA?!?!?! 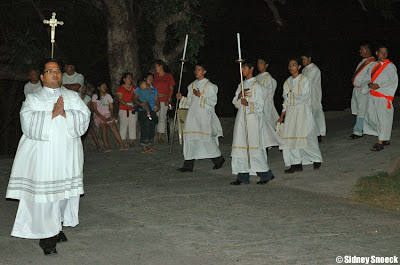 This is the priest who ridicules the Mass, when in fact he loves to have dancers in the Mass he celebrates. I wonder if he will celebrate Sunday Mass regularly without the Mass being broadcast on national TV? Hmmm.... Just wondering. And the TLM makes the mass goers "audiences"?!?! When did you see an entertainment show host "turning his back" on his audience, huh? Try asking FR. MARIO SOBREJUANITE, SSP, yup the name of this priest, to stop looking at the people, to stop orating while he pronounces the prayers, to start praying instead of performing, and let us see who is acting the host and audience? Don't you love it when Fr. Mario loves making "kuwentong barbero" stories and how he loves to brag how he is so close with Mrs. Henry Sy and how he got his washing machine for free? Yeah, I saw that episode. Just, too inappropriate. Fr. Mario, a word of advice. Think before you talk. You act more stupid than how you mimicked the swishing sound that does not even happen in the Mass you just ridiculed! See what you get when you have professors who teach rubbish in our seminaries! And see what you get when priest are too narcissistic! Try taking him out of TV and in SM Megamall and let's see if he'll still minister to that charismatic group. Pray for us St. Francis de Sales! "If prayer is a colloquy, a discourse or a conversation of the soul with God, by it, then, we speak to God and He again speaks to us." "Truly CHARITY has no limit; for the LOVE OF GOD has been poured into our hearts by His Spirit dwelling in each one of us, calling us to a life of DEVOTION and inviting us to bloom in the garden where He has planted and directing us to radiate the beauty and spread the fragrance of His Providence." Guess what the dog is wearing. Yup. 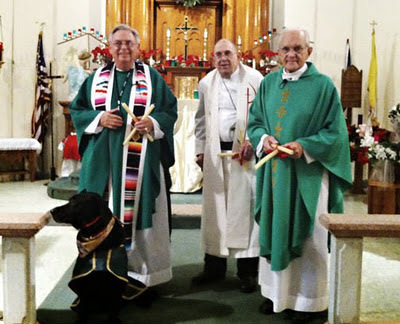 The dog was made a part of the Mass. And you think you had seen it all. And you think things like this are about to fade. Well, the hippie priest who engineered this, I think, courtesy of the biological clock losing its batteries. Read about this nonsense, here. The Mass has gone to the dogs, literally. And judging by the altar and the habit of the priest in the center, this is an OMI parish. I wonder what their founder, St. Eugene de Mazenod, must be feeling after seeing this. What to do with Old Missals? ROME, JAN. 24, 2012 (Zenit.org).- Answered by Legionary of Christ Father Edward McNamara, professor of liturgy at the Regina Apostolorum university. 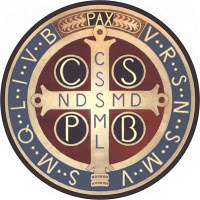 "The Secretariat of Divine Worship has received a number of timely inquiries regarding the disposition of copies of the current Sacramentary once the new Roman Missal, Third Edition has been implemented. "Whether or not the Sacramentary has been blessed by an official rite, it is appropriate to treat it with care as it has been admitted into liturgical use. Its disposal should be handled with respect. The Secretariat recommends burying the Sacramentary in an appropriate location on church grounds, or perhaps in a parish cemetery if there is one. Some have even suggested following a custom used in various Eastern Churches whereby liturgical books or Bibles are placed in the coffin of the deceased as a sign of devotion and love for the Liturgy. [Not a bad suggestion instead of just throwing it somewhere.] In lieu of burying old liturgical books, they could be burned, and the ashes placed in the ground in an appropriate location on church grounds. It is advisable to retain a copy of the Sacramentary for parish archives or liturgical libraries." "Looking ahead to the reception of the Roman Missal, Third Edition, the above-mentioned blessing from the Book of Blessings could be used to bless copies of the Missal before their first use on the First Sunday of Advent, November 27, 2011. [So obviously this is rather old, but NEW in PHL news.] The blessing could take place during a Mass on the Solemnity of Our Lord Jesus Christ the King, at the last weekday Mass prior to the First Sunday of Advent, [Within the Mass....again?...] or outside Mass at a separate gathering of liturgical ministers or other parish leaders. Can you chime in your experiences? Creation of New Cardinals...a new way? On 6 January Benedict XVI announced his intention to create twenty-two new members of the College of Cardinals, on 18 February, in what will be the fourth consistory of his pontificate. Bearing in mind these historical aspects, and in continuity with the current form and main elements of consistories, the existing practice has been reviewed and simplified. In the first place, the collect and concluding prayer of the 1969 rite have been recouped, [Aha! Our fave Benedictine monk must be throwing a hissy fit right about now!] because they are particularly rich and derive from the great Roman tradition of prayer. [They are rich?!? You mean the Bugnini ones are not as rich?! Duh!] The two prayers, in fact, speak explicitly of the powers the Lord gave to the Church, in particular that of Peter. The Pope also prays directly for himself, that he may carry out his duties well. The proclamation of the Word of God will also take a shorter form, as used in the 1969 rite, with a single Gospel reading (Mk 10, 32-45) which is the same in the two rites. Finally, the consignment of the cardinalatial ring will be integrated into a single rite. Prior to the 1969 reform, the red hat was imposed during the public consistory, which was followed by a secret consistory in which the ring was consigned and the title or diaconate assigned. Nowadays the distinction between public and secret consistory is no longer observed and it was deemed more coherent to bring the three phases of the creation of new cardinals together into a single rite. What remains unchanged is the following day's concelebration of Mass by the Pope and the new cardinals, which begins with an expression of homage and gratitude addressed to the Pope by the first of the new cardinals in the name of all the others. So, with the changes, expect no "Mass of the Rings" for the new cardinals, ok? Why we always insert everything into the Mass, eh? 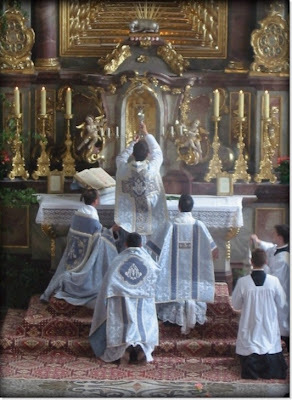 Yeah, yeah, the Eucharist is important but we are making the Mass as if the pro-forma for our celebrations that we can insert anything even another celebration and dispensation of another sacrament into the Sacrament of the Holy Eucharist. Anyway, just stick to the original purpose, ok? 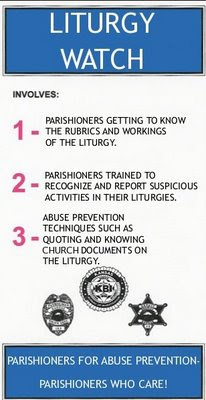 The consistory for 2012 I think will show that. 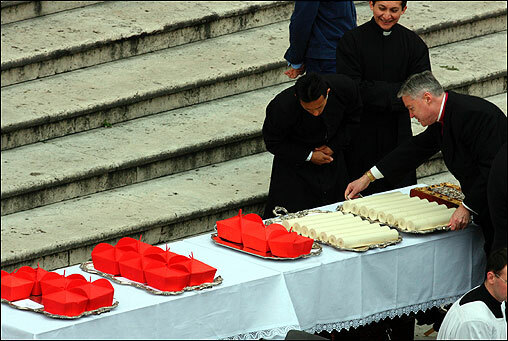 The new cardinals will get their red biretta, ring and papal bull of their cardinatial titles all in ONE event. Look who is coming back! Can professors at MST and St. Vincent School of Theology attend this? All expense paid trip to Cebu just to sit there and listen to Michael Voris. Although the Catholic Church respects other beliefs and traditions, such as the Chinese’s, Garganta said it is unhealthy for one to rely heavily on superstition that he already disregards his faith in God. “Let us be more rooted in knowing what God’s plan is for us because it is Him who calls us to life and he has a unique plan for every individual,” he added. Garganta urged those who try to reconcile their superstitious beliefs with their Catholic faith to discern and meditate on how they could “put to good use” whatever gifts their belief and faith give them. Instead of consulting your horoscope or your feng-shui or charms expert, why not consult your God? Try Catholic medals instead. They really work. And the Church gave Her approval for these medals. And if I hear another one of those who say "Wala namang mawawala kung susubukan mo." (Nothing bad will happen if you just try it.) NO. A LOT WILL BE LOST. You just showed to us how you lost your trust in the Lord by trusting charms and paganistic rituals for your blessings to come. No. Geomancy and Divination is NOTHING but TRASH compared to the power of Jesus Christ. 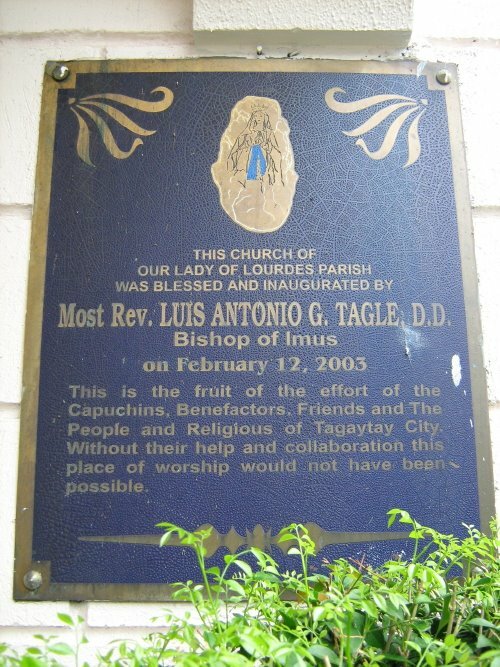 So, Bishop Jaucian, try one of those stupid things you said during the Chinese New Year once again and you'll see your name on top of Archbishop Tagle soon! The pallium is a white woollen band embroidered with six black crosses which is worn by the Pope and by metropolitan archbishops. [Symbolical of the lamb born on the shoulder of the Good Shepherd which the Metropolitan Archbishop emulates as he presides over a Metropolitan See. Being the head of the archdiocese makes him the higher ranking bishop over and above in dignity and responsibility against his suffragan dioceses. That is why there are rare cases when the Metropolitan Archbishop even becomes a diocesan adminstrator when the retirement or sudden resignation of a diocesan bishop is accepted by the Holy Father. This happened just recently when Cardinal Rosales, being the metropolitan of Manila, became apostolic administrator of Pasig after the retirement of Bishop Francisco San Diego. Cardinal Rosales ceased to be administrator after the installation and enthronement of San Diego's successor, Bishop Mylo Hubert Vergara.] The lambs, the symbol of St. Agnes who was martyred in Rome around the year 305, are raised by the Trappist Fathers of the Abbey of the Three Fountains in Rome and the palliums are made from the newly-shorn wool by the sisters of St. Cecilia. If you want to know the history of Communion in the Hand, click here and be enlightened. I have read over the past days various exchanges via Facebook and via email about why the crucifix should be or should be not at the center of the altar during the celebration of the Mass. There are a lot of education stuff I read about this placement of the altar and various reasons why the Piero Marini formula of placing the cross on the side of the altar is way better and unobstructive and even one "child" and "student" of our fave monk according to his "Order" called the crucifix on the altar and center as "hideous" and hides the view of the greatest miracle in the Mass, the transubstantiation, covered by the crucifix in the center. I have made posts to support the position of our gloriously reigning Pope, Benedict XVI, about the centrality of the crucifix in the altar. The practice of placing the altar on the side of the altar happened only at the late 80s when the liturgical revolutionaries led by Piero Marini and his troops here in the Philippines led by Anscar Chupungco and Genaro Diwa began instructing "diocesan and parochial liturgists" to never place a crucifix and candles on the altar. This phenomenon happened because the focus of these liturgists is not the worship of Christ nor even the people witnessing the transubstantiation. Quite frankly, I have assisted in Fr. 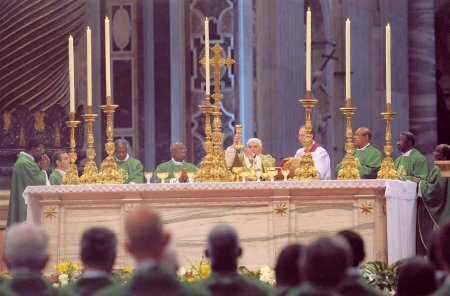 Genny Diwa's Mass for a couple of time and he does not even elevate the consecrated host for the people to see and adore. So what is this student of Fr. Chupungco to even say about "not seeing the host because the cross is standing in the way?" So what was the underlying reason for the change? IMHO, it was all about the EGO. Priests who love the set-up of taking the cross out of the altar wants the attention directly on him, not on HIM. The priest wants to see the faces of the people, see the reaction while he says the Mass. Is this how the Mass should be? Is this how the priest should be focusing on? Imagine, if the narcissistic priest has that urge, which he usually has, of making the Mass his own brand of entertainment show, the cross will stand in the way and remind him of why he is standing there in the first place. If the student of Fr. Anscar was really asking for that unobstructed view of the transubstantiation and having the cross at the center, a sort of win-win solution for both sides, why not try this? To read more about WHY THE CROSS SHOULD BE PLACED ON AND AT THE CENTER OF THE ALTAR, read this. Communion in the hand is from Calvinist! The current form of hand communion stems from the Calvinists, so says Bishop Athanasius Schneider. Shared to me by a fellow Knight on my Facebook Wall. The current form of hand communion stems from the Calvinists. This is what Auxiliary Bishop Athanasius Schneider (50) of Astana in Kazakhstan said at the end of October for the videosite 'gloria.tv'. This step happened in disobedience to ecclesiastical rules -- Msgr Schneider stressed: "That was an abuse and the Holy See forbid it in the 1960s." "In this document the Church said that this form is an exception and that kneeling Communion would remain the rule." Msgr Schneider recalled the Episcopal Synod of October 2005 on the Eucharist. During a recess Msgr Schneider asked an attending Norwegian Lutheran "Bishop" how his community gave the Lord's Supper. The Lutheran answered that the Norwegian State Church had, up until about ten years ago, been giving supper only kneeling and on the tongue. Yet the influence of decadent Roman Catholics has caused hand communion to be introduced. 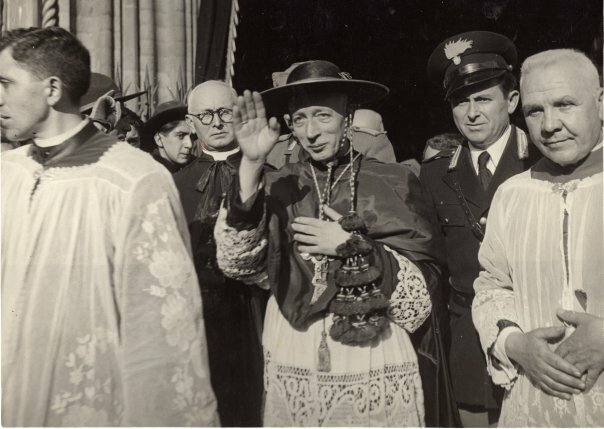 "We must deeply desire that this form of current hand communion, which has never been practiced in the Church, be abolished" -- he said with feeling. Handcommunion is a minimal form of reverence. On the contrary, the Church ought never to be satisfied with minimalism. Msgr Schneider warned that giving hand communion will cause many particles to be lost. The Hosts are often flaky. The particles could also adhere to the fingers or remain on thepalm. They would fall on the ground and be trampled. "It so often happens to me and also to other priests, that there are a few particles on the paten." That is why it is high time to Ban Communion in the Hand! Sign the petition! Spread the word! Bishop vs. Priest: the Issue? It is so sad it had to go to this. I am convinced that the real reason for my former bishop’s actions against me is due to my defense of the Catholic Church’s teaching with regard to homosexuality as well as my adherence to the Roman Liturgy of 1962. If necessary, I will present prodigious evidence to support this contention. I will continue to do my best to be a good and holy priest, no matter the cost. I will continue to proclaim and teach the truths of the Roman Catholic Church, especially in the area of sexual morality, no matter the cost. I will continue to adhere to the Ancient Rite of the Roman Catholic Church, no matter the cost. 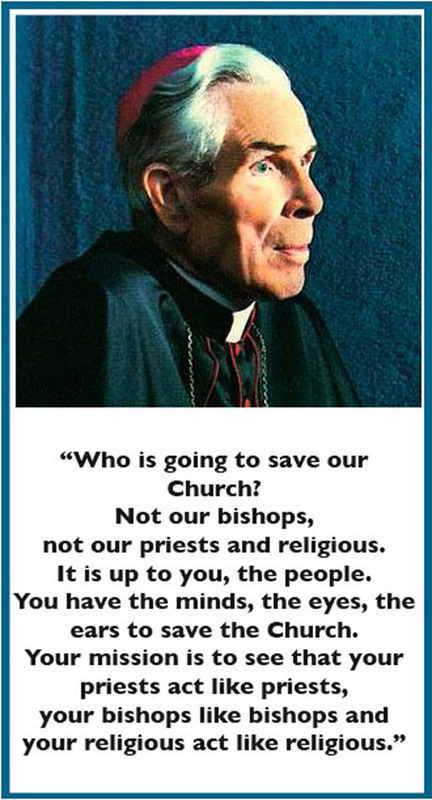 I read somewhere that the crisis in the Church is a crisis of bishops. Some bishops just really think that they are consecrated as successors of the apostles to be politically correct all the time and to protect the environment, everything BUT defend the Catholic Church and Her Truths. 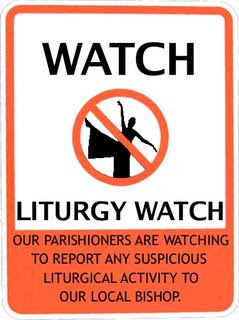 This was even posted in the Diocese's Multiply Page. CATHOLIC Church officials have warned the public against a certain individual introducing himself as priest, particularly in the Diocese of Parañaque. Msgr. Benedicto Aquino, Parañaque diocese’s vice-chancellor, said a certain “Fr. Noel Ormenita” celebrated Mass in a condominium within San Isidro Labrador Parish in the name of the church. “Noel Ormenita is not a Roman Catholic priest and has no faculties to exercise the priestly ministry in the Diocese of Parañaque and everywhere else for that matter,” said Aquino. In his communiqué, the church official also relayed another warning from the Diocese of Cabanatuan about the suspension order it imposed on Fr. Eliezer Navarro. Navarro was previously assigned as “priest-on-loan” to the Diocese of Cubao and was suspended “indefinitely” by Cabanatuan Bishop Sofronio Bancud. “In case of doubt about the status of priests from other dioceses, please demand a celebret,” he added. 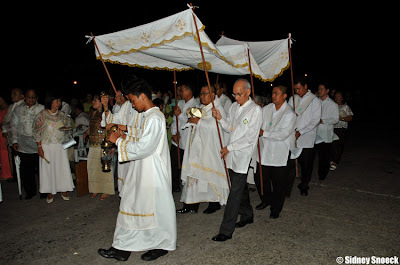 A “celebret” is a testimonial given to a priest when traveling that he is in good standing, with the accompanying request that he be permitted to say Mass. The faithful should be educated what a celebret is and why it is important to ask one from a priest who claims to be a Roman Catholic priest. But when in doubt, go to your parish church office or call the diocesan chancery. Tell them the name of the priest and they can identify if the priest is a priest of the Roman Catholic Church. BUT! A celebret will confirm if that priest is in good standing with his bishop and/or with the Church. BUT! There are other churches who claim to be Catholic, who issue celebrets to their "priests", like this FAKE one, because he is NOT A ROMAN CATHOLIC PRIEST. Just to be sure DO BOTH: Ask for a copy of the celebret and call your Diocesan Chancery for confirmation. And if that "priest" says that he is on travel to ask for donations for his "mission" or "project", that is the alarm bell ringing madly. Abp. Oscar Cruz: "I said WHAT?!" a. THAT I said something to the effect that infertility is an impediment for Church marriage. ANSWER: Impotence is an impediment for valid Church marriage but not infertility. That is elementary knowledge. b. THAT I accept if not even endorse the so-called "Gay Marriages" contrary to the long standing teaching of the Church. ANSWER: Needless to say, there are gay people who do what they want to, irrespective of what the Church teaches. In this case, whatever they do, their cannot be a marriage as provided by nature and taught by the Church. At most, they can enter into an "Agreement," a "Partnership" or anything the like--but not marriage in reality and truth. c. THAT I am very kind to gays to the extent that I am a consenting adult to their designs, options and the like. ANSWER: I respect gays just as everybody else. They too are created to God's image. They too have human dignity. They too should not be ridiculed, much less discriminated. The Archbishop had to issue this since it is being circulated in the internet that he said that the Church does not want to marry infertile people. Guess liars will be liars right. Dan Brown, have you relocated to the Philippines? GULP Exam: What is wrong here? Shared to me and sent by a TPC reader. Not the name of the Bishop. This was how the capello romano with the tassels, that act as a galero. And here is the country's lone galero. The galero of Cardinal Rufino Santos, hanging in the ceiling in the Manila Cathedral - Basilica. I uploaded this photo in this post. GULP Exam: What are they wearing? Please, please, please, tell me what the acolytes are wearing. Please don't tell me it is a hybrid of a dalmatic and an alb. 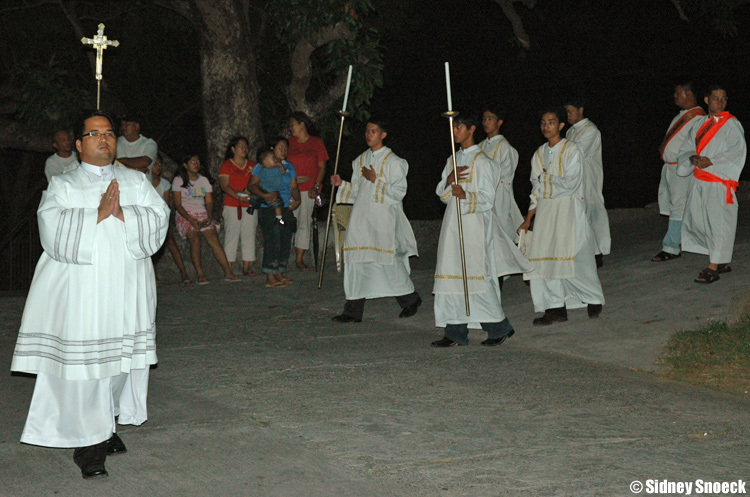 We all have heard and seen a Chasu-Alb, the white designless chasuble that has become a staple in the Philippines. I was at the Basilica of the Black Nazarene yesterday and I came as a pilgrim, acknowledging that I am a sinner seeking the Doctor of Life who Himself is wounded. I am surprised to see more people this year than in the previous years that I came to the Quiapo for the Señor's feast. Yes, my friends, the Black Nazarene has a special place in my heart. Whenever my schedule permits it, I make it a point to go to the Basilica to pay Him a visit. Even if I am on an errand to go to either Sta. Cruz or Binondo or Divisoria or Carriedo, I will make a quick turn to Quiapo, pay Him a visit, both by kissing the feet of His revered image and at the Adoration Chapel, before I go about my business in the area. So in turn, I effectively made all my trips to downtown Manila start with a pilgrimage to the Basilica. Parking is hellish, though. I went to Quiapo yesterday to fulfill a yearly vow. I made a list of petitions I will bring to my pilgrimage. There were a couple of requests sent to me. And yes I included you dear TPC readers. This year's Feast is much different in my view as there are way more people in the Basilica and in the surroundings of the Quiapo community. I was literally pushed into the Basilica because of the sea of humanity who wanted to go into the church. While Mass was going on, medical volunteers hurriedly bring pilgrims who fainted. They were escorted out of the Basilica in wheel chairs. I prayed for them as well. There were so many people who heard Mass that even a whole battalion (no literally) of EMHCs were on hand to help distribute Holy Communion. In spite of that, the EMHCs were unable to go around the church to distribute Holy Communion. I wasn't able to receive Holy Communion even if I was already inside the Basilica. As the Mass ended, we all sang with raised hands the official song for the Nuestro Padre. After which a thunderous applause and shouts of "Viva!" rang in and out of the Basilica. I continued praying even if the people around me jostled to get out as fast as they can after the Mass. I prayed for those who asked me to pray for them and fixed my gaze on His revered image. I know I had to get out too since the next Mass was about to start. The time between Masses was less than 5 minutes. The Basilica was still full even after the last Mass had ended. Just as I was pushed into the Basilica, I had to rely on the wave of humanity to push me out as well. Seeing the devotees put their all just to touch the cross or the robes of the Lord, brings me back to the Gospel story of the woman who was suffering from a hemorrhage. Christ asked who touched Him, but Peter told him that large crowds were around Him so almost everyone touched Him. But Christ knew that there was this one person who touched Him because as the Gospel said "power came out of Him." That was what the devotees to the Black Nazarene were doing. They are not touching just the wood. They are touching Christ. The sacrifice that men and women go through just to accompany Him who carried the very instrument that would put Him to His own horrific death, walking barefoot like Him, shows you the faith these men and women have and their resolve to fulfill a VOW they made to the Lord. A prayer for healing, for financial prosperity a special favor for someone...Christ must be very busy hearing all of these prayers. Remember that scene from Bruce Almighty, when the character of Jim Carrey heard all the prayers of the people all around the world at the same time? I am crying now, just recalling these words which I uttered while I gaze upon the Nuestro Padre enthroned in the High Altar of the Basilica. I gazed upon Him and then turned my attention to Him in the tabernacle. As I left the Basilica, and passed by and kissed and wiped with my purple hanky three life-sized replicas of the Señor for veneration (or in Tagalog pahalik), I was left with a sense of awe for the festival: How the Lord called all Filipinos from all walks of life to the Church. Believe it or not even Muslims were around the church selling CDs of the songs of the Quiapo Church. The Nuestro Padre Jesus Nazareno song was blaring all around Carriedo and Raon. Thankfully, it was the voices of pilgrims praying and singing, not of the souvenir hawkers, and police and military personnel's voices that I could remember hearing around the Basilica. Some may call it fanaticism, or even idolatry. But I leave it to the Lord, because as a fellow devotee myself, I see and hear it from my fellow pilgrims. They are not after the wooden image. If it were the case, then there would be no queues to venerate the replicas. We would all be ganging up on the original image securely enthroned in the High Altar. No, we, devotees, do not see it that way. 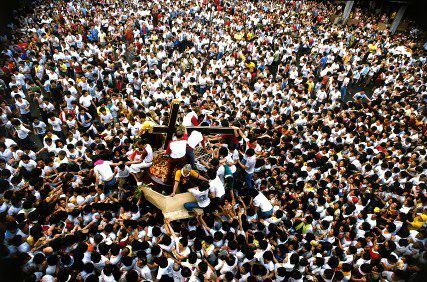 We kiss and touch every single image of the Nazareno we could find on that day, even the smaller ones that our fellow pilgrims are carrying. Because it is not about the wood. It is about what the wood represents. It is He whom we want to touch and kiss and worship! This morning while having breakfast, I turned on the TV to see what happened in Quiapo last night. To my surprise, the procession has not finished yet. The andas was still in Plaza Miranda. 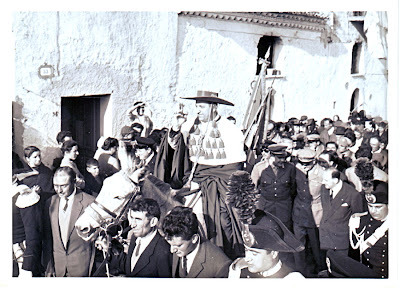 At 6:15 of the following morning, the andas bearing the Señor was finally pulled into the Basilica while you can hear his faithful sons and daughters shout "Viva! Viva! Viva!". "Can I too take up my cross daily and follow Him?" My Christian life is all about that, I believe. Our life is about that. Just carry that cross until the end of the journey. One step at a time. And the Señor, showed me how to do it. Even if I have to trip and stumble along the way to Calvary and finally the Empty Tomb. The lesson is: JUST KEEP GOING ON. Til next year's Translacion, dear TPC readers. PS: I will be in Quiapo again this weekend. And yes, I will bring you with me. If the Roman centurion and the woman suffering from a hemorrhage are too fanatic to say those words, then call these people fanatics of the Lord. It's the faith that spells the difference. I will pray for all of your dear TPC followers at the Basilica as I make a will come there as a sinner and a pilgrim. 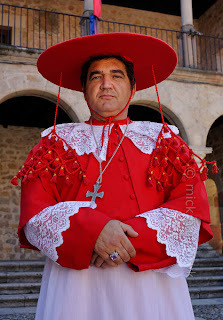 The Catholic blogosphere is abuzz with the announcement of the new cardinals soon to be created in consistory. Filipinos in particular are expecting Archbishop Jose Palma to be named a cardinal since the See he is heading is a cardinatial see, Cebu. But Pinoy Vaticanistas are one in observing that it is not the usual practice of this Pope to name a sitting diocesan archbishop to the cardinalate while his predecessor who is a cardinal, is still living. Perfect example is Cardinal Gaudencio Rosales, archbishop-emeritus of Manila who was named cardinal in 2006, a few months after the death of his iconic predecessor, Cardinal Jaime Sin. But this year, that was not the case. Among those be named for this year's consistory are two sitting diocesan bishops. John Tong Hon of Hong Kong will be named a cardinal even though Cardinal Joseph Zen is still living. Cardinal Zen will lose his voting right on January 13 of this year. 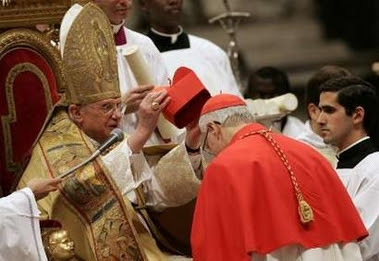 Timothy Michael Dolan of New York will be receiving the red hat as well even if his predecessor, Cardinal Edward Egan is still living and will have voting rights in the next conclave until his 80th birthday on April 2. In the case of our very own Jose Palma of Cebu, his predecessor, the eminent and revered Cardinal Ricardo Vidal turned 80 last year and already lost his right to join the next conclave. Palma, by the way, is only 61 years old. So, I think the red hat will still be his in the future. Dolan of New York was always expected to receive the red hat in every consistory ever since he was assigned in New York, but was passed by several times. So, sit tight beloved Cebuanos. In Tagle's case, Rosales will lose his voting right on August 10 of this year. Tagle is only 54 years old, a very young high-ranking prelate. Will he get the red hat too? I guess he will though I shudder in the reality. His die-hard fans want it ASAP. John Allen, of the National Fishwrap, who never set foot in the country, went as far as to declare him a papabile. Why not call him prefertiri like what Dan Brown did in Angels and Demons? Dream on Allen! All Catholic men are eligible and there are a hundred men inside the Sistine Chapel who are all eligible. Papal appointments, like those named to the cardinalate, are all under the Pope's discretionary power. If you think that the Pope does not favor much the Pinoys, think again. He might have better plans for us, you know. Just continue praying for the Holy Father. The reforms he is doing in the Church are more important. The cooking priest is in town! Fr. Leo Patalinghug, the celebrity cooking priest and author of the family recipe book: "Grace before Meals" and as seen on the show "Throwdown with Bobby Flay" is in the country for a limited period of time to raise funds for the Sendong Vicitms of Northern Mindanao. He will celebrate Mass at 4:30PM . Book signing will follow after the Mass. Autograph and Photo Opportunity with Fr. Leo himself during the signing. The Mass and Book signing will all be held at Santuario de San Antonio in Forbes Park Makati. The Three Magi was searching for GOD! If the Magi had come in search of an earthly King, they would have been disconcerted at finding that they had taken the trouble to come such a long way for nothing. Consequently they would have neither adored nor offered gifts. But since they sought a heavenly King, though they found in Him no signs of royal pre-eminence, yet, content with the testimony of the star alone, they adored: for they saw a man, and they acknowledged a God. Today is Blessed Chalk Day! Yes. It was tradition that chalks be blessed today on the Feast of the Epiphany. 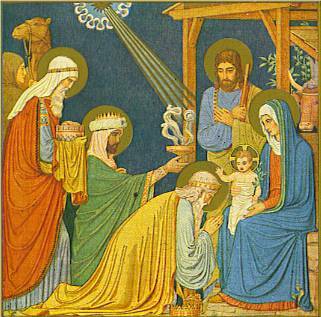 Also known as Feast of the Epiphany, Three Kings Day, or Theophany, this Feast is a great and very important Feast in memory of Jesus showing His glory in 3 ways: as an infant to the Magi, at His baptism, and at His first miracle at the wedding in Cana. So important is this Feast, that it is a Holy Day of Obligation in many parts of the Catholic world, though not presently in the Philippines, which is now celebrated on the Second Sunday of January. The numbers are the years: 20 and 12. 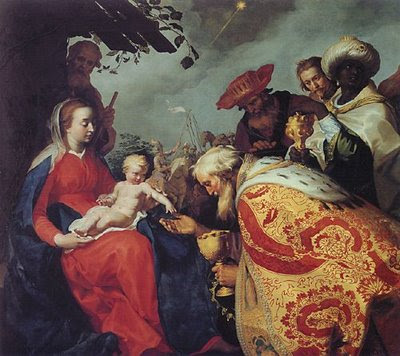 And the letters are the names of the Three Wise Men who sought not the Earthly King, but the Heavenly and Godly King, whom they worshiped and adored once they found Him. Here is how you should do it. The last person who would say "LUCKY!" Saying lucky aint a bad thing right? Well, I guess, it depends upon the situation. I just came back from an office inauguration and blessing. I was one of the invited guests. Fortunately, the owner who is a personal acquaintance, is Catholic, so she invited a Roman Catholic priest to bless the office. After the priests blessed the office, using the, ugh, Chupungcan type of blessing, he went around the office sprinkling every nook and cranny with holy water. What really caught me by surprise was not the Chupungcan, which now I think is Diwan rite of blessing (cool, folks, pun was intended.) 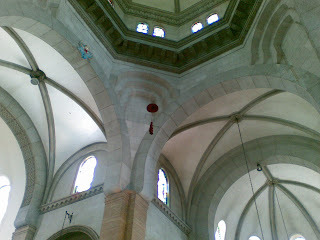 It was after the blessing of the building that the priest started blessing a fishbowl full of one peso coins. He then sprinkled it with holy water and before the, you guessed it right, showering of the coins, he reminded every one present to not spend the coins we will get, but save it and use it on the time when we will build our own houses or any structure, because according to him, these coins are "Lucky!" or in his exact Tagalog words, "Suwerte." Is luck ever a Christian thing? Whatever happened to God's blessings and hard work "Give us this day our daily bread." 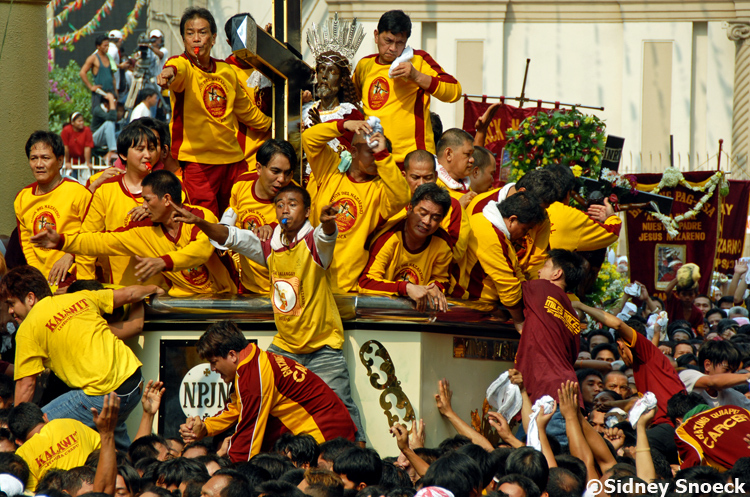 If Christianity is all about luck, no wonder some Pinoy Catholics' devotion to the Black Nazarene and the Sto. Niño are nothing different from their "devotion" to the big, fat smiling Buddha. Let this be your Christian "mantra" throughout the year. This is the actual photograph of the page page of her own breviary, where St. Teresa of Avila, one of my patrons, (aka Sr. Teresa de Jesus OCD) wrote her famous poem Nada Te Turbe. Let this be our prayer for 2012. And not from some feng shui and astrology hacks! And here is the English translation. NO 1970s ICEL involved. Ha! Please say this prayer, and an Ave and a Memorare, for me, as I am going through a very tough decision this coming weeks and months. Also include my wife and kids in your prayers as they will be greatly affected by my decision. It's about my job. Now you know why this is my first post.